For several years my niece Mattie has asked me to make her birthday cakes. 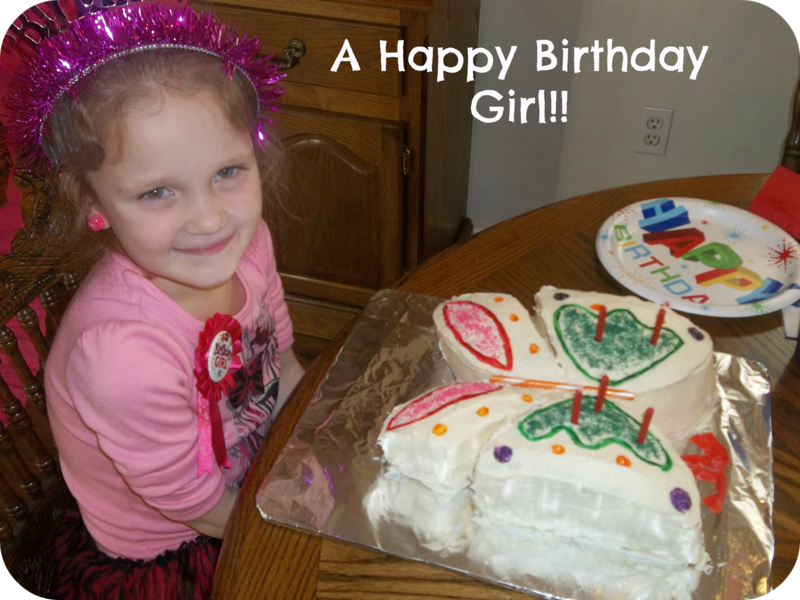 Last year I made her a rainbow cake with each layer different colors mixed together and topped with green icing. This year however she thought she needed to challenge me I guess and asked me for a butterfly cake. Obviously I said ok but inside I was so scared and worried that I wasn't going to be able to make it for her so what do you do?? Search the internet of course! 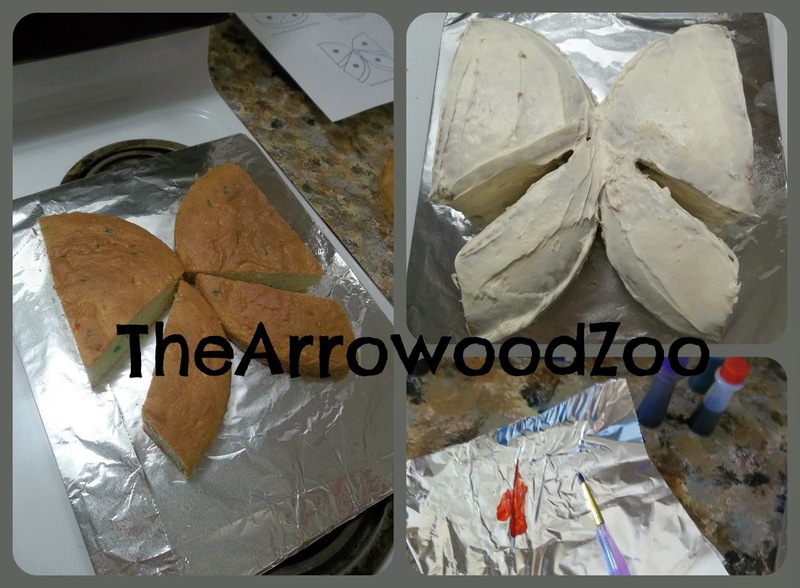 I found several ideas on Pinterest and from Betty Crocker and so I took on the challenge! I used 1 box of cake mix and used an 8 or 9" round cake pan ( I can't remember which one I used). Because I used 2 pans I was able to stack this 2 layers high and it still worked awesome. You cook normal per the cake box instructions. I used the Betty Crocker template here which made the shape so easy! I arranged the cake how I wanted it and placed a crumb coat on it for overnight and placed in our fridge. The next morning I iced it and decorated it. The decorating went great and I have a tip for ya! 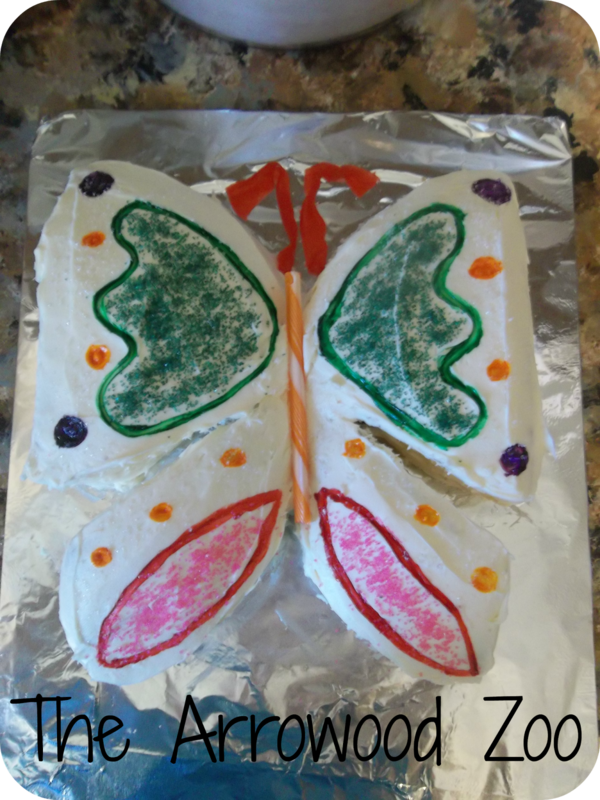 I had read while researching the butterfly ideas that you could paint food coloring on to icing for a neat effect and coloring look. It turned out wonderful! Decorating was fun and really easy no right or wrong. I was so happy to give this cake to Mattie and her love it. Birthday cakes should always be themed! :) You did a great job with it and it looks pretty tasty! I think my Princess would be delighted with this! So going to keep it in mind! Great job! I'll have to remember the food coloring tip! Stopping in from Boost your blog! This is so cute and Happy Birthday to your little girl. This cake is beautiful and looks delicious too! I have a birthday girl turning 5 in a couple of weeks and I'll have to keep this one in mind! This is super impressive! I always think I can make things that are crafty but they never seem to turn out how I want them to. Ha! But I feel like I could pull this off. Thanks so much for sharing! The cake looks great. 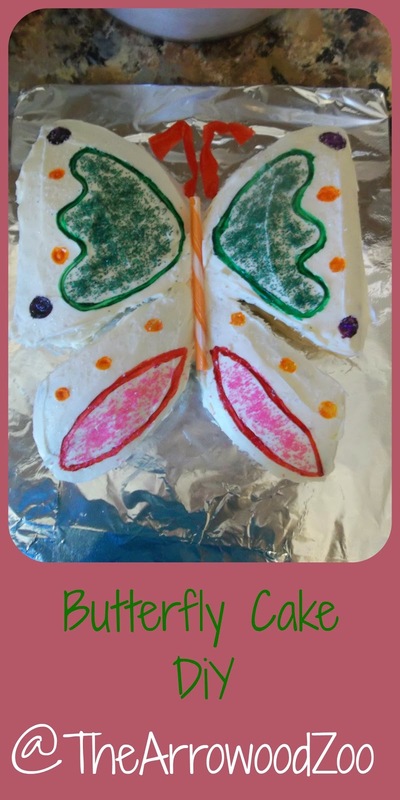 I love butterflies and am thinking of having a butterfly themed party for my daughter so this cake would be perfect. What a beautiful job! 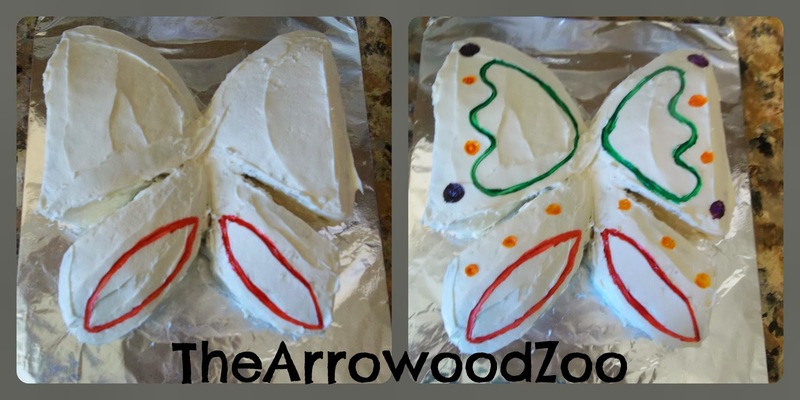 I make themed cakes for my kids each year, so I feel for you in the whole pressure department! Congratulations on a job well done!